Next to Louis Armstrong probably the second most important figure in jazz (you can easily switch the two depending on your opinion). 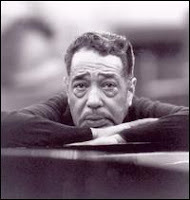 Duke Ellington made over a hundred recordings. He shifted from big band recordings to stage and film to occasional small ensemble settings--all of which are phenomenal. His own compositions have now become standards in jazz repertoire. Ellington's work with Elle Fitzgerald, Billy Strayhorn and Mahalia Jackson have also become cornerstones in jazz history. For many, Ellington is another daunting task if you are just getting into jazz. But there are a two recordings that I believe you can gravitate to with ease and show exquisite compositional side of Ellington as well. My final personal favourite is a collection which is not a bad way get into Ellington but I would recommend experiencing a full album first. One of those "difficult" records. 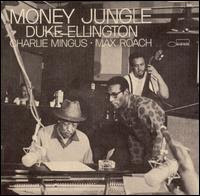 This was a session featuring Ellington along side future giants Charles Mingus (bass) and Max Roach (drums), both of whom were influenced by the great pianist. The session is intense due to the battling personalities of Ellington and Mingus. 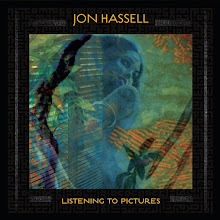 Along side the classic Live At Massey Hall also featuring Mingus, this is one of my favourite jazz albums of all time. Another session featuring two legends of jazz. Unlike the Money Jungle, this session runs relatively smoothly although the playing is quite conventional. 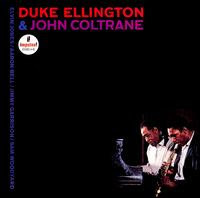 Coltrane at this time was coming into his own and Ellington was experimenting with the small group format. So the two make a perfect combination at the time. Ellington writes most of the material for this date. The performance is exceptional and worth every penny. An affordable 2 disc set that covers the Columbia Records period. 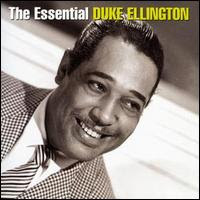 Includes every aspect of Ellington (small sessions, big band and film music). It features collaborations with gospel legend Mahalia Jackson in addition to his legendary recording Such Sweet Thunder. If you want a huge chunk this is a good place to start.